The Vineyard is a 5 Star Hotel, Spa and Restaurant which has over 30,000 bottles of wine in the cellar. 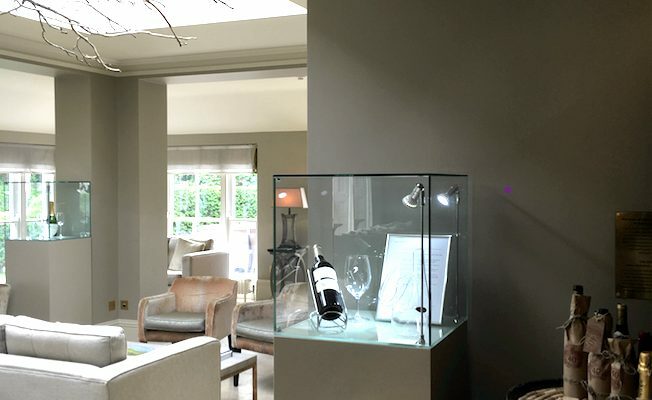 The Vineyard ordered glass cabinets for Wine, Champagne and Wine Glasses to be displayed in their lounge area. 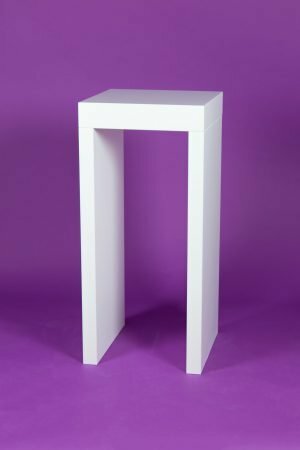 The cabinets at The Vineyard are from our standard size range, a 50cm glass cube with a 50cm footprint base at 110cm high. They chose a bespoke colour match to make the base cream rather than white. The base cabinet had a door in the back, with shelves inside the cupboard. This is so that they can use this as extra storage space in their lounge. A business can never have too much storage space! The lighting in the cabinets is battery powered using a USB Power Pack. The lights will last for 50 hours of on time and will take around 4 hours to charge the battery. For customers who have 4 or more cabinets, it works out more efficient to buy one spare battery, so that when you take off a battery to charge it, you can always replace it with a charged one. 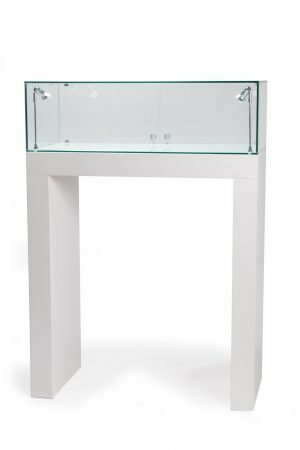 Battery Powered Lighting in display cabinets is beneficial for several reasons, the most important being that the display cabinets can be placed anywhere in the shop and moved around, without needing to be determined by where the plug sockets are in the building. The second is that there is no need to PAT Test any of the equipment as it does not run from mains power. In the rare case of a power cut the cabinets will still be working! 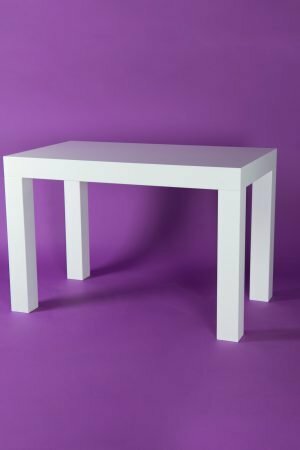 If you have a specific colour which you would like the base plinth to be matched to, a RAL or a Dulux colour code is perfect to be able to match to. If you have pantone references, we can find the closest colour, but may not match exactly. The pantone references are given for print (so for logos they are fine) but in terms of matching a printed colour to a spray paint finish can be tricky. If you have a pantone – it’s good to print out the colour and try to match it as close as you can to a Dulux code. It is difficult to match a pantone colour to a spray paint. It is better for you if you choose the exact Dulux code. We can do this process but it is never a perfect match due to the depth of the colour. 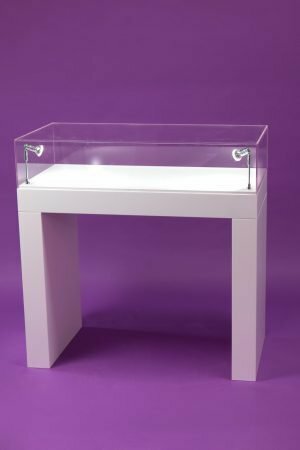 If you are displaying alcohol on plinths or in display cabinets there are many options for lighting. If you want lighting and special effects to make the wine stand out there are a few different approaches. You can have the bottle lit from below like in this Whisky example image. There are other various options with lighting, LED Strips and Opal Acrylic. If you have a very green or very red bottle, we ask to have the bottle on site for manufacture. Green and red bottles need very specific spectrum of lights and the strength of light is different for each one. It also depends on the colour also of the alcohol.